In his book Highlife Music in West Africa Sonny Oti makes the observation that highlife musicians in the late 70's were able to transcend their entertainment band roots and produce music where they became the modern equivalent of African town crier whose "song texts are communal messages, warnings and counselling". The lyrics of big band highlife gave way to longer tracks that dealt with social and political problems and sought to give voice to what people in Nigeria were experiencing and offer some reassurance and solace to a population dislocated by war and an increasing chaotic economic situation. 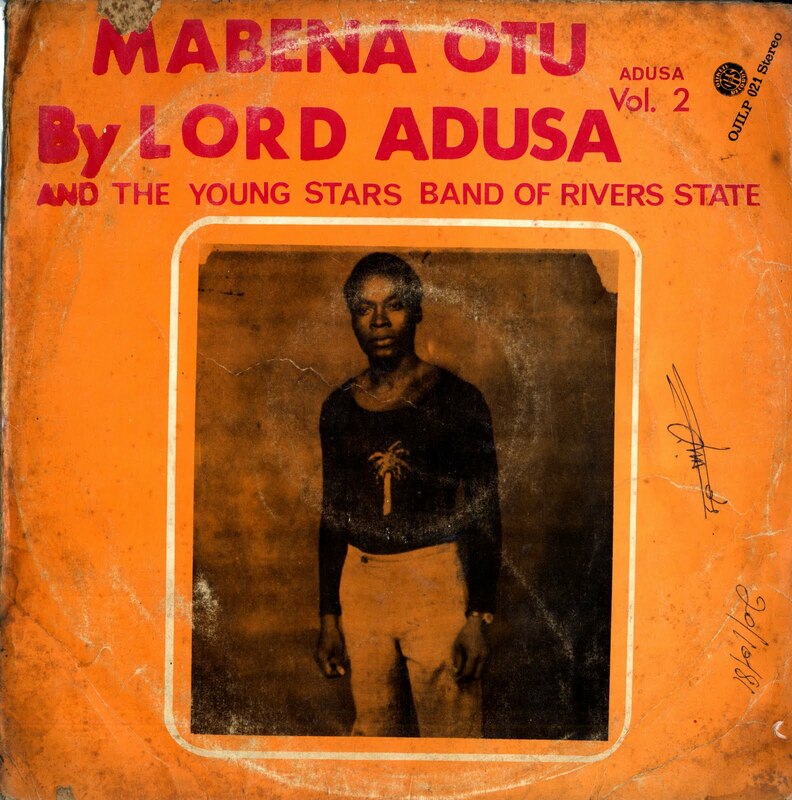 I think this selection by Lord Adusa off his LP Mabena Otu on the Ojikutu label is a beautiful example of the impact this change had on the intimacy and immediacy of highlife music. Backed by the young stars band of the River state, the song opens with a plaintive bass guitar and organ driven melody which provides a reflective, almost melancholy, lead in for the vocals. I am not sure what the song is about but check out how the urgency in the song changes when Lord Adusa really begins singing around the 2 minute mark and the wonderful alto sax work after the 7 minute mark. I hope you like it.